Dryads, elves, and druids are known to have a special affinity for trees. Now your child can wear these Childrens Woodland Warrior Arm Bracers to be inspired by nature as they learn armored combat or dress up for a medieval event. Hand crafted in our shop from 7/8 ounce leather, these inventive bracers are finished with antique brass hardware. 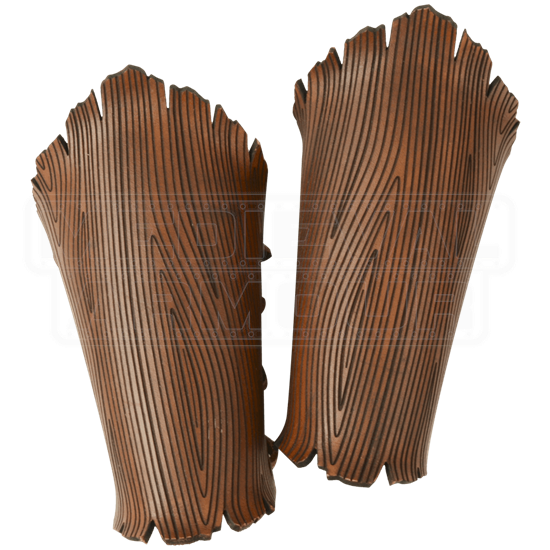 The brown leather has been engraved with a woodgrain design and molded with shaped edges to resemble curling bark. These leather bracers lace together, providing a custom fit for children or smaller framed adults. 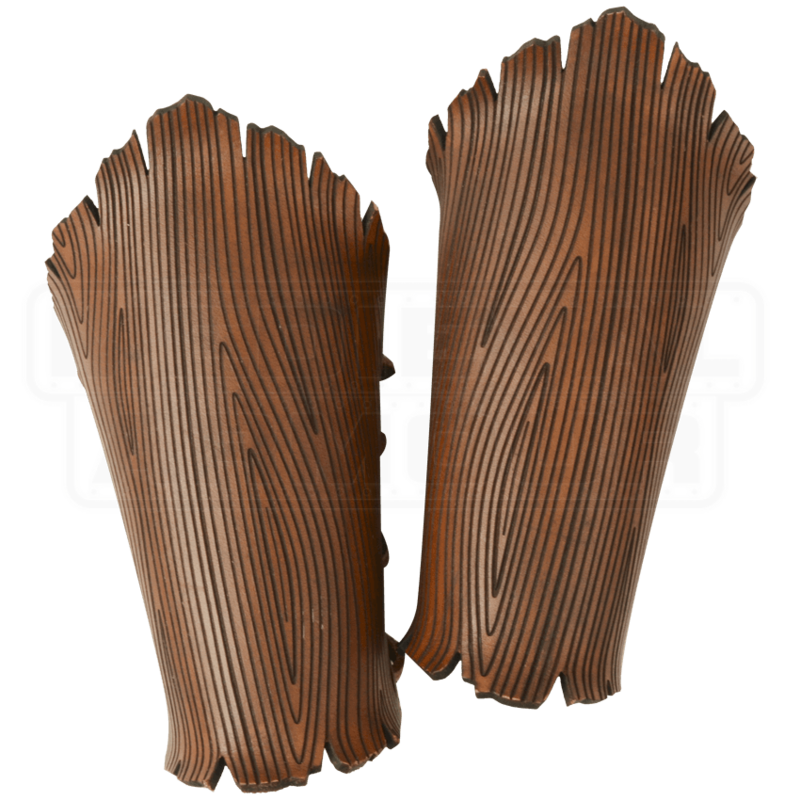 Made from medium weight leather, these Childrens Woodland Warrior Arm Bracers are perfect for LARP events, light reenactment, theater, and costuming.